The traditional mahogany-maple tonewoods with satin finish and nickel hardware, accompanied by vintage-style keystone tuners, give this Les Paul Tribute a true vintage vibe. Its slim-taper neck profile, powerful modern humbucking pickups, and comfort-enhancing weight relief make it fit for today's most demanding players. All delivered in a padded gig bag with a strap and polishing cloth. Who Would Buy This: Those who are shopping for the Gibson Les Paul Electric Guitar will get themselves a musical instrument that is incomparable to others. The introduction of Gibson’s Les Paul model in 1952 paved the way for a fundamental template for the design of what had become the most revered stringed instrument in the world. Yet, Ted McCarty, president of Gibson, and Les Paul, the guitar’s namesake, also sought to introduce a “deluxe” version of the instrument. Initially, the goal was to do it in conjunction with the original Les Paul, but the manufacturer’s drive to achieve excellence had resulted in unexpected delays. Nevertheless, the final product eventually became the top model in the original Les Paul line. The Gibson Les Paul Electric Guitar comes with a great design. In fact, it is not called the “Fretless Wonder” for nothing, as it features low frets. It was the first Gibson guitar to offer the revolutionary ABR-1 Bridge that was invented by McCarty, resulting in a pioneering achievement in intonation and in the most revered and copied guitar hardware that was ever developed. Other standard appointments the guitar includes are a thicker body design and seven-ply body binding on both its front and back, along with a multi-bound headstock that features a prominent 5-piece split diamond patterned inlay of genuine mother of pearl. This guitar from Gibson also offers near-perfect recreation. Based on the model from the mid-1950s, with several modern appointments, today’s Les Paul Custom is crafted with a hand-carved maple top that is fitted to a body created from a solid piece of mahogany with strategically routed holes. This design lessens its weight, resulting in a guitar with improved resonance and enhanced acoustic qualities. For its 24-3/4-inch scale length neck, it is also made from mahogany and topped by a 22-fret ebony fingerboard that is outfitted with figured acrylic block inlays. It sports Gibson’s 490R in the neck position to offer the tonal characteristics of the original PAFs and the 498T in the bridge position to make it slightly better with emphasis on mid-ranges and highs. The Les Paul has a nitrocellulose finish, which is one of the most labor-intensive elements in making guitars. However, this fact never swayed Gibson into changing such a method that was employed ever since the first of the company’s guitars was swathed with lacquer back in 1894. So, what really is with this type of finish? 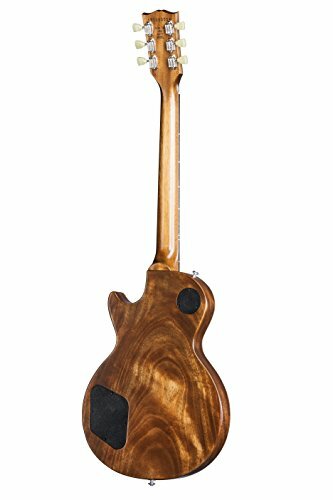 Well, it dries to a much thinner coat than a polyurethane finish, which means that there is less interference with the natural vibration of the instrument, allowing for a purer tone. Considering that the Les Paul is a vintage guitar, it has some disadvantages compared to the newer versions of guitar. One of the most common experienced by players is its weight. However, the guitar is designed to be heavy for its great resonance and tone. You can request manufacturer’s warranty from Amazon’s customer service. 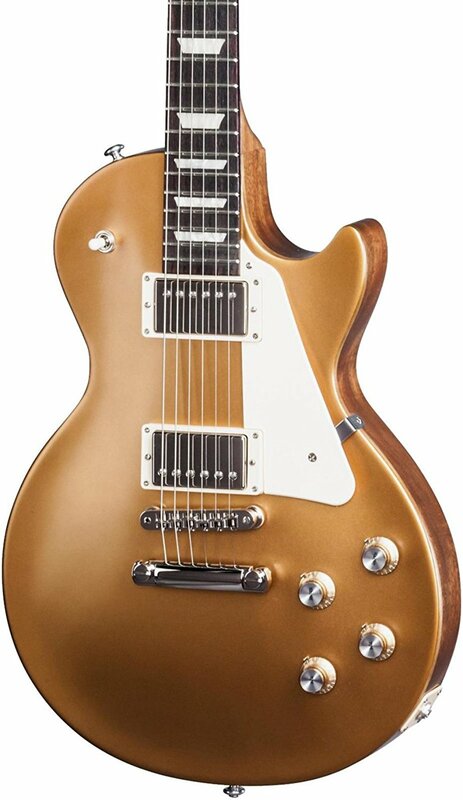 There is no doubt that the Gibson Les Paul Electric Guitar is worth the investment. With its semi-hollow body that produces great resonance and tone and fretless arm, you can consider it the grand piano of all guitars, which can help step up your performance to another level.